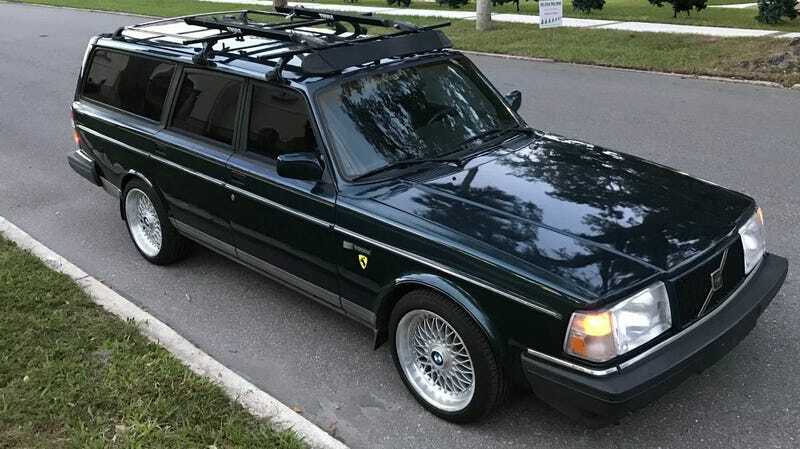 At $7,500, Could This Last-Year 1993 Volvo 245 Classic Make a Lasting Impression? Volvo’s venerable 240 series didn’t make a farewell tour before leaving the stage, but as shown by today’s Nice Price or Crack Pipe limited production Classic, it did bow out with style. Let’s see what that style might be worth now. Whenever someone says “I’d like to take five minutes of your time…” you know what they really mean is “I want to make my problems your problems.” That was one of the issues plaguing yesterday’s 1995 Mercedes Benz E300D sedan. The seller admitted in the ad a non-functioning EGR valve. He also claimed its repair would be a five minute fix. That’s probably hyperbole and the actual fix would likely be much more involved—if possible at all. The car’s $7,000 asking price proved another contentious issue. That was one that no amount of time could overcome, and dooming the Benz to a 78 percent Crack Pipe loss. You know, there’s a last of pretty much everything. Some can be pretty bittersweet. Consider last call at your local dive, that last slice of pizza in the box, or maybe, this 1993 Volvo 245 Classic which represents the last of that long-running and reputationally sound model’s reign. Shed a tear for the end of the line for the 200s. Or, buy this one, it seems nice. As noted in its ad, the Classic was the 200’s swan-song. Volvo built 1,600 of them in 1993, the model’s final year, split between 800 sedans and 800 wagons like this car. Each carried a numbered plaque on its dash indicating its place in the production line shuffle-off. This one is apparently number 77. It’s difficult to discern from the pictures what color this car is, although the Classics only came in Ruby Red or Dark Teal Green and what we can tell is that this one’s definitely not red. It does have some nice gold striping down the sides and those funny prancing moose badges on each flank. Those are chock-full of comedic value. One of the first things you notice about the 200 series is just how boxy they are. It’s part of their charm. Unfortunately for this one, some of the horizontal surfaces are showing paint fade and pocking owed to that boxiness. Overall, the body seems otherwise straight and free from issue. Perhaps a less successful change is the addition of a set of basketweave alloys intended for a BMW. Those have required custom hub adapters and honestly with all the cool Volvo wheels out there seem to be an odd choice. Maybe the seller would take a few bucks off if you BYOW (Bring Your Own Wheels) and left him with the Bimmer rollers. The interior is another mixed bag—literally. The car originally came with tan vinyl upholstery and door cards but the seller it seems wanted a charcoal cloth interior. He’s half-way there with the front seats and doors redressed, but with the rear area still carrying on in OG fashion. It’s weird and perhaps another decision that would be better left with the seller if the older parts are still sitting around. The seller says he hasn’t done the deed yet because he’s been so happy with how the standard 114- horsepower 2.3-litre four is running. That mill’s apparently been imbued with a number of replacement parts, some, like the A/C compressor and alternator being big ticket items. The ad says everything works as it should with the lone exception of the rear window wiper. They’re never team players. Mileage is claimed to be “around 240K” which leads one to believe that the odo may also not be working. The engine is described as “fresh” although it’s not explained if that means rebuilt or just really strong for its age. The title is clear and the car comes with a $7,500 asking price. Station wagons as a whole are dropping in number as part of the automotive landscape. That’s owed to fewer being built every year and more existing ones finding their way into the junkyards. This is an end of an era edition of one of Volvo’s most iconic and beloved models, so there is some reason to want to keep it going, if only for nostalgia’s sake. The issue is, has the present owner done too much to remove what made this car special to begin with? Would that, and it’s $7,500 price have you looking elsewhere if you were in the market for a classic Volvo Classic?